Mabel made dill pickles. Since it was bad luck to give away sour things, she demanded that we pay a penny for her goods. I imagine her recipes died with her. Miss Evie, our neighbor next door and Mabel's cousin, was a Pentecostal, and therefore not superstitious. She gave us her sweet pickles and the recipe freely. My dad gave her cucumbers and onions from our garden. That was the 90's, but he gave us these cucumbers and onions last summer, and my mom sweetly prepped them for a special treat, some of Miss Evie's bread and butter pickles. It occurred to me that pickle making is also a fun kids' chemistry project. 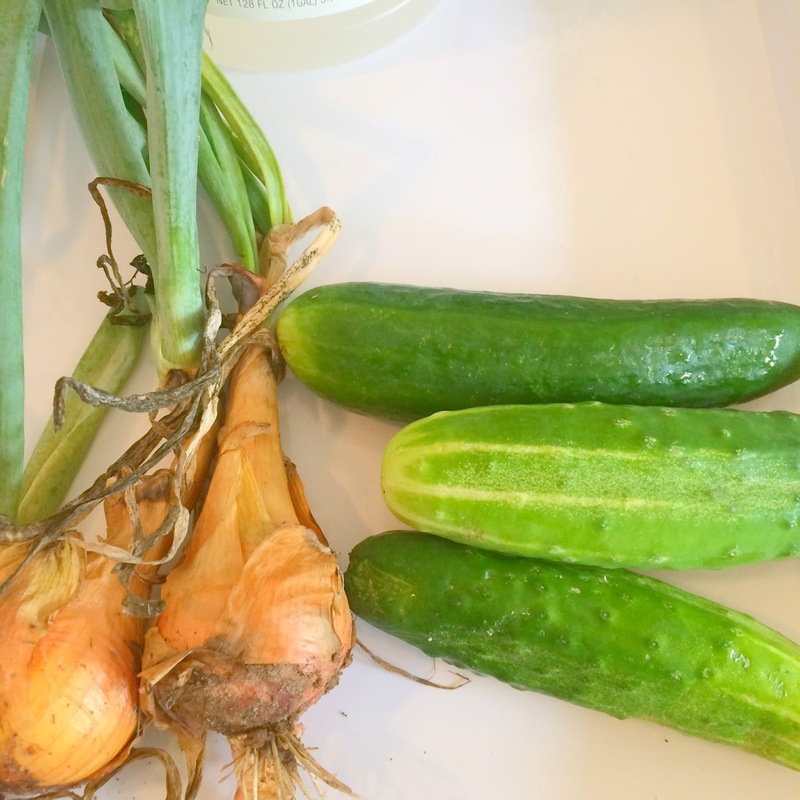 Summer is a great time to get your hands on some bulk cucumbers. Freezer pickles are a simple recipe that doesn't require the stove or oven, so this is the perfect recipe to make with your kids. Our family eats these bread and butter pickle by the quart! First you need to slice peel and slice the cucumbers and onions. Older children can use the vegetable peeler, and possibly help slice the cucumbers. We did our slicing in the food processor. 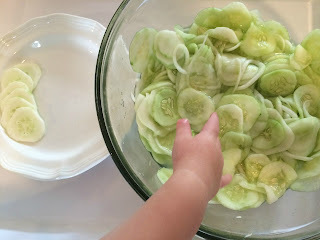 To make this project into a real life science experiment, pull out a few slices of cucumber and place them on a plate to compare later. 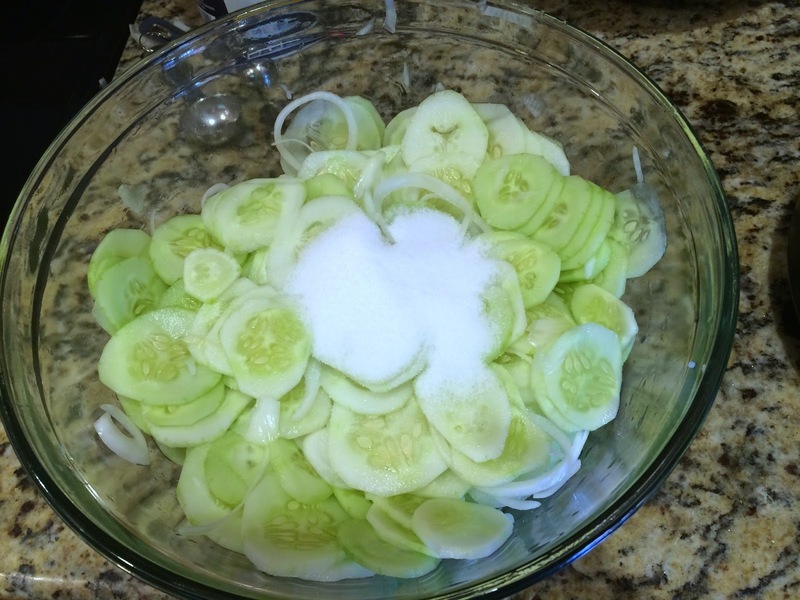 Next, mix some salt into the pickles. 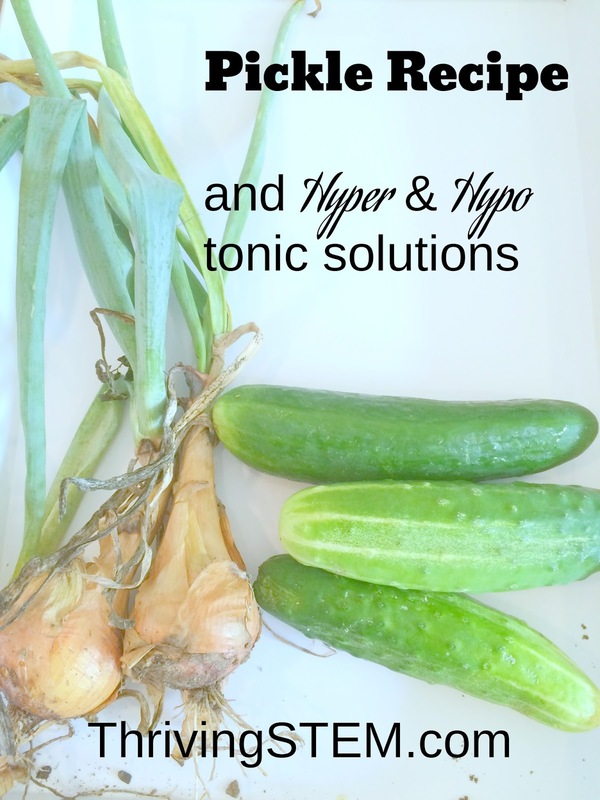 This creates what we call a hypertonic solution. There is more solute outside the cucumber cells than inside. 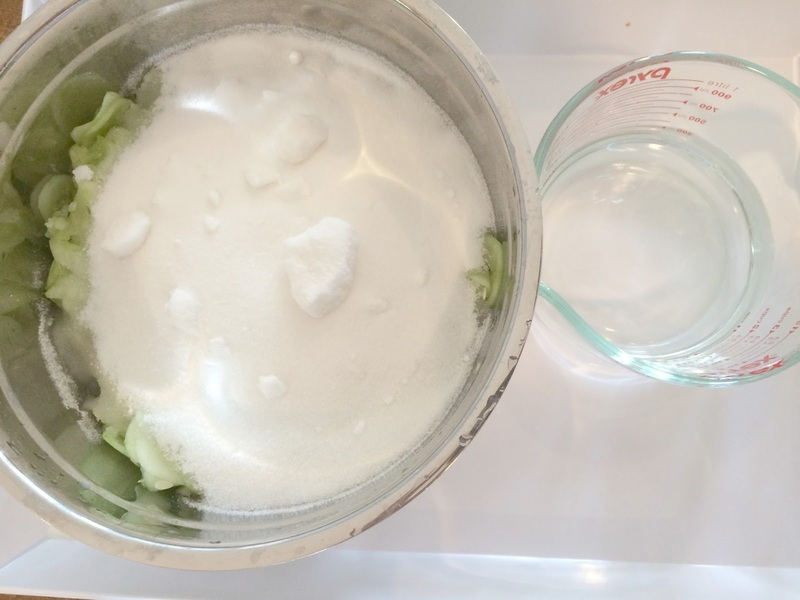 Finally, add the sugar and vinegar. This is now a hypotonic solution. Because the percentage of fluid inside the cell is less than than outside the cells, it naturally flows back into the cucumbers, giving them a sweet tangy flavor. 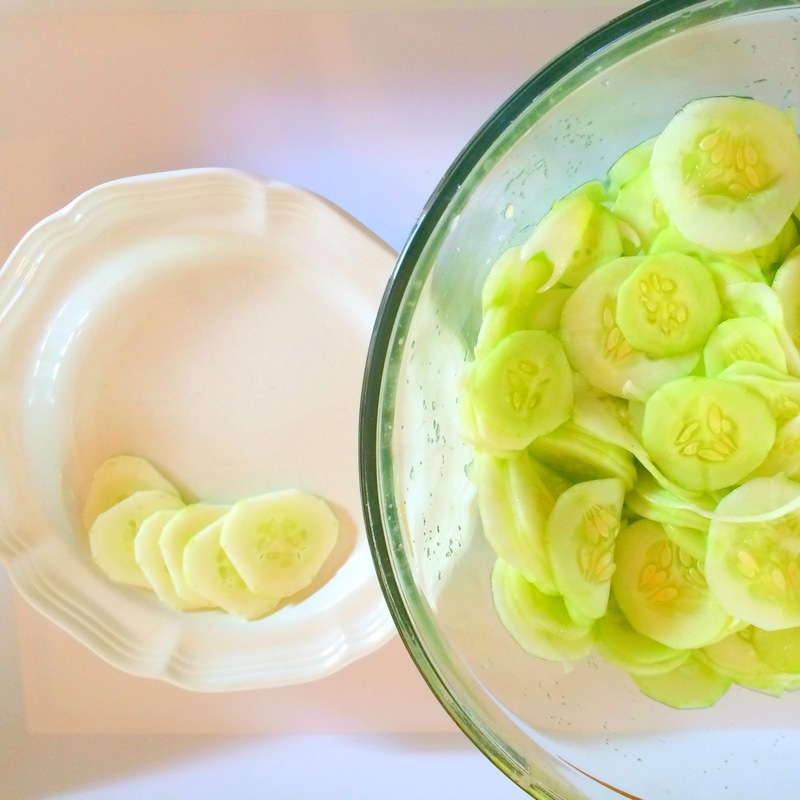 In a few hours, you will have some delicious sweet pickles to enjoy with dinner or as a snack. You could even take them to the neighbors. I can tell you from experience they'll enjoy them! Stir together and let stand two hours. Rinse well. Drain. 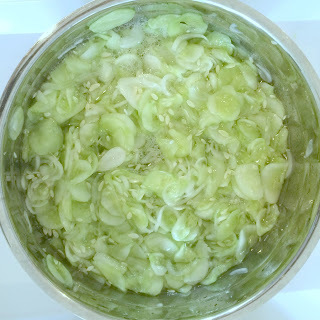 Add to cucumber and onions. Let stand half an hour. Serve, refrigerate or freeze. I'm joining some other science minded bloggers to bring you a summer full of fun activities. Check out the other projects that have been shared so far in the Spectacular Summer Science Series. Such a fun activity! I'm excited to try this recipe when I get a chance.